Love coffee machines? We are hiring! Love coffee machines and all things coffee? We are hiring! 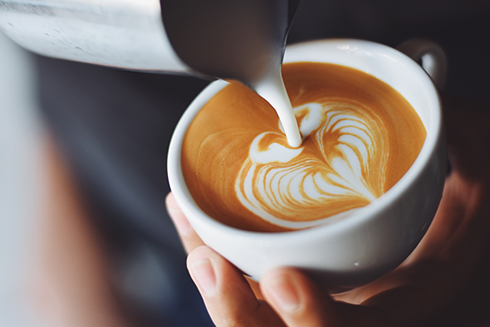 As a growing company, that rents and sells coffee machines, coffee vending machines and consumables for use in the coffee machines, we are always looking for talented people to join us. We’ve been here for 15 years and need skilled and passionate people to see us through the next 15! Our company is entrepreneurially driven, innovative and operates at the “frontier” in everything we do! People who stay with us (and more than 50% of staff have been here 5 years or longer… 20% for over 10 years) are those who share our values of excellence, customer care, honesty and innovation. They are hard workers who invest themselves in the development of their own careers. We are looking for a sales co-ordinator… do you qualify? Identify new prospects, call them and schedule appointments for sales reps. You’ll need to be seriously good at finding people who want coffee machines and be awesome on the phone in convincing them to accept an appointment with a rep. Prepare proposals and contracts. You’ll need to be very detail oriented and be able to put together error free proposals. Your command of English grammar must be exceptional. Excellent administrative ability … where you can manage multiple ongoing activities all at once… without chaos! We’ll offer the most awesome applicants a market related basic salary of around R12-15k/month (maybe more if you are super impressive!) and a happening work environment where your colleagues are passionate about what they do. So… if you have above average administrative skills, have succeeded in telephonic cold calling, can write great proposals and can manage a complex set of simultaneous activities… step up now! Send your CV to hr@frontiercoffee.co.za and tell us why you think we should appoint you. Work fast, applications close on 25 January 2019 and we want you on board 1 Feb or 1 Mar 2019. We’d love to respond to every application, but we can’t. So if you have not heard from us within 10 days of applying, please accept that your application was not successful. Keep drinking coffee and keep looking here to find the next opportunity.